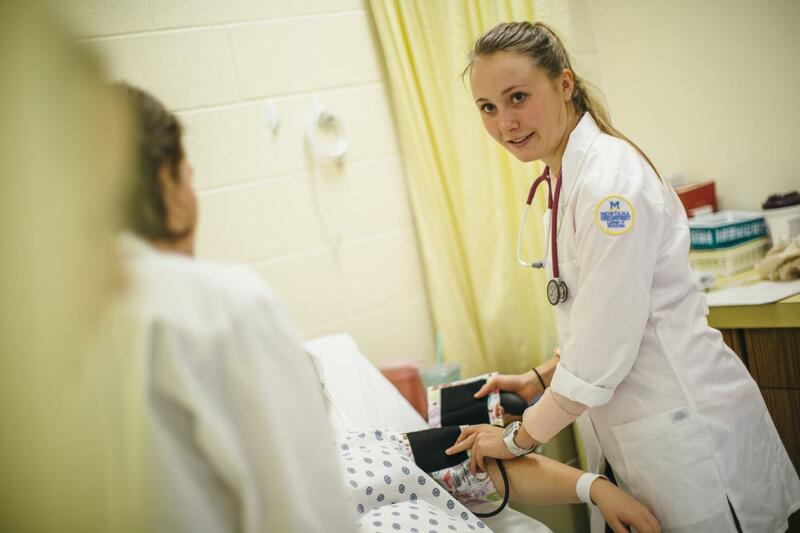 Montana State University’s College of Nursing has received a grant totaling nearly $2.8 million that will enable MSU and its partners from across Montana to address the need for nurses in shortage areas across the state, particularly in rural areas. The four-year grant, which begins July 1 and is worth nearly $700,000 per year, is from the U.S. Health Resources Services Administration. The goal of the project is to prepare MSU College of Nursing students to practice in community-based primary care settings, according to Sarah Shannon, dean of the College of Nursing and the grant’s principal investigator. In addition to nursing students, the project will also provide professional development opportunities to current registered nurses around working in team-based settings, implementing care coordination systems and improving health in their communities. The HRSA-funded project will also target recruitment of students from American Indian communities into the MSU College of Nursing and a new community-based primary care nursing track. To help those students succeed, a new retention specialist and two new nurse mentors based with MSU’s Caring For Our Own Program – which aims to recruit and graduate American Indian/Alaska Natives nurses who will work primarily in reservation settings and, to a lesser degree, urban settings in Montana – will support the students. Juliar said that over time, the project should have a positive impact on access to primary care in medically underserved communities, culturally appropriate primary care for Montana’s American Indian and Alaska Native populations and improved health outcomes for Montana’s rural and underserved populations. Major partners include the Caring For Our Own Program, Area Health Education Center, Rocky Mountain Tribal Epidemiology Center, Fort Peck Health Promotion Disease Prevention Initiative, Rocky Mountain Public Health Training Center, Mountain Pacific Quality Health, and Montana Primary Care Association, Juliar said.